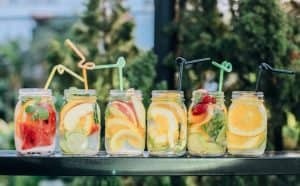 Do Detox Drinks Really Work | Whats The Verdict? We’ve all heard about detox drinks by now. It’s an industry worth more than $3.4 billion (1). Even though many health experts have criticized the detox 2 people are still turning toward detox juices to help them cleanse their bodies, lose weight, and to improve their health. They primarily consist of fruits and vegetables that helps to cleanse the colon and help eliminate toxins from the liver, an essential organ in the body that naturally detoxifies the blood and keep our bodies clean. Unfortunately, there is a lot of mixed information available regarding the effectiveness of detox drinks. One publication would tell you that detox drinks can work (3) while another one would tell you they are a waste of your time and money. With such a controversial subject, who do you believe? And should you give a detox drink a try yourself? In this post, we’ll take a look at different types of detox drinks. We will also consider whether or not detox drinks can work – and take a look at what exactly these drinks can do for you. You’ll find out what to expect and what not to expect so that you do not spend money on something that might disappoint you in the end. Different types of detox drinks exist, with some being more effective than others – this is an important factor to take into account. The most popular type of detox drinks that you will find is fruit and vegetable juices. These are juices made by blending a range of detox fruits and veggies together in a blender. You will often find that recipes tell you to add some water to the mixture, or perhaps some fruit juice. Smoothies can also be used, which usually include items such a Greek Yogurt – this adds additional probiotics to support digestive function. Another option that you have would be to utilize supplements that have been made especially for detoxification purposes. The main purpose of a detox drink is to help eliminate a range of toxins from the body. The environment is full of toxins – the water we drink, the air we breathe, and even sometimes the food we eat. Contaminated food causes toxins to transfer to your body, where they start to accumulate in bodily tissues – including some organs, such as the liver. When this happens, you can start to experience health problems. Headaches might be common. 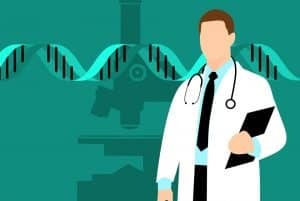 Your immune system may become compromised, which means you will be more likely to become ill and your wounds may take somewhat longer to heal. Your body will also not be able to absorb all of the nutrients you eat through food. This means you will not obtain an adequate amount of vitamins and minerals, healthy fats and, of course, proteins. With this in mind, you become at risk of developing nutrient deficiencies. When you take a detox drink, depending on the ingredients, the drink will help to cleanse your gastrointestinal system, and also help to rid your body of toxins – but usually not directly. These juices usually contain ingredients that help to improve the body’s natural ability to detoxify itself. It helps to clean the liver and, in turn, the liver can then be more effective in producing its specific functions. When you use a detox drink, various functions in the body are improved – this usually means that nutrients can be absorbed more efficiently by the body. 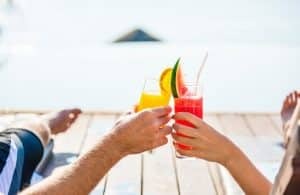 Thus, to answer the main question here – do detox drinks really work, the answer would be yes, but it depends on what exactly you expect a detox drink to do for you. Don’t expect too much. These drinks are designed to help your body flush out toxins. When toxins are flushed out, then weight loss may be easier, you might feel that you have more energy available to get through the day, your mind may be less foggy, and you may feel healthier. Making your own detox drinks can be tough. The ingredients required may sometimes be difficult to find. You also have to prepare the ingredients yourself, blend them, and, of course, clean up after yourself. Plus you have to ensure that you add the right amount of each ingredient for maximum results. 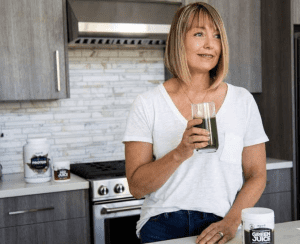 If this all sounds too much for you, then consider a detox drink that has been pre-made with the right ingredients at the perfect concentrations to help you detox. One perfect example of such a product is the Organifi Green Juice. This concentrated powder drink combines multiple foods that are often classified as “superfoods” due to their ability to provide the body with a series of benefits. When you opt for a product like the Organifi Green Juice, there is no need t prepare any foods – as everything that you need to cleanse and detox your body properly is already included in the powder. All you need to do is mix some of the powder with a glass of water – follow the dosage instructions provided and then adjust according to your own personal experience. You can take the drink multiple times each day – and you’ll start to experience the benefits after using the product for a few days. 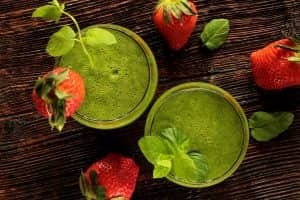 There are many recipes on the internet that helps you create your own detox drinks, along with a range of supplements that promises to be the best at detoxifying your body. 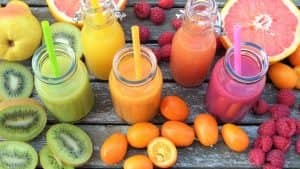 Detox drinks can be effective at helping your body clear out excess toxins and may even assist with cleaning out your bowels, but it is important to be realistic and not to expect too much from such a drink. They may give you a better start to losing weight, but they will not let you magically lose 10 pounds overnight.